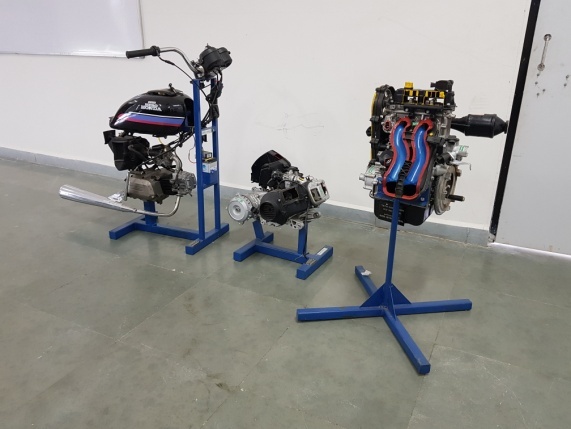 With the aim to establish the total understanding of working/studying the parameters/Analyzing the heart of an automobile, the engines. 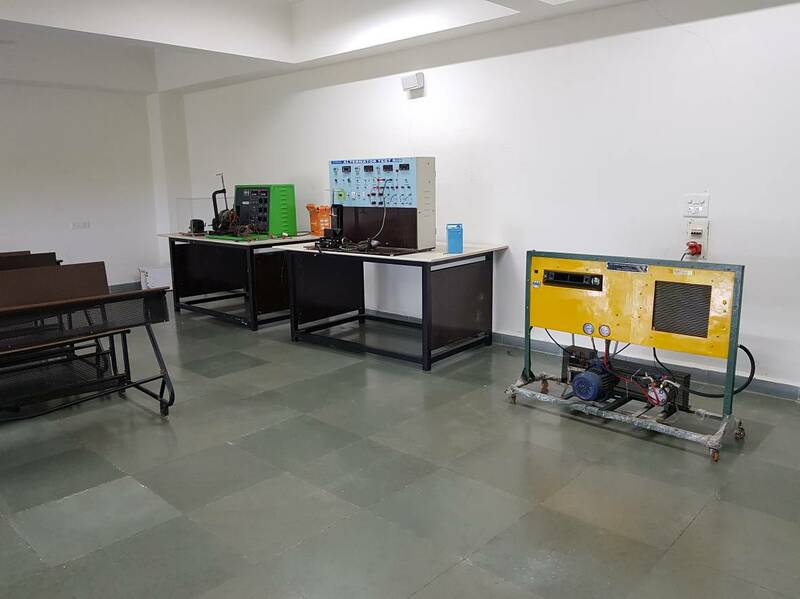 The laboratory is equipped with various test rigs (Diesel/petrol), exhaust gas analyzer, different types of dynamometer, cut section of entire four wheelers and various other modules to perform and study the core of engineering. 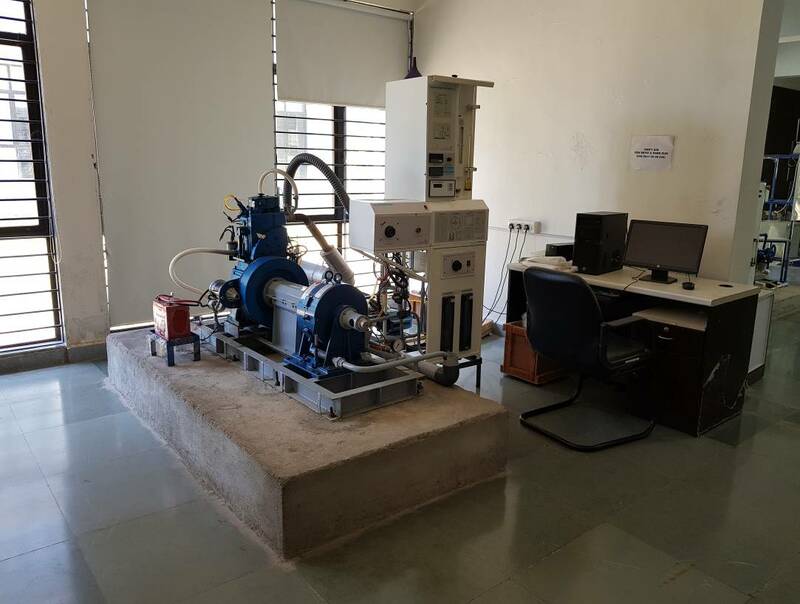 The laboratory also is designed to perform various experiments such as VCR engine test rig which can accommodate blends and futuristic alternative fuels. The understanding of various automobile systems is a key to establish the understanding and develop the imagination and vision to analyze/design/optimize automobiles for future. 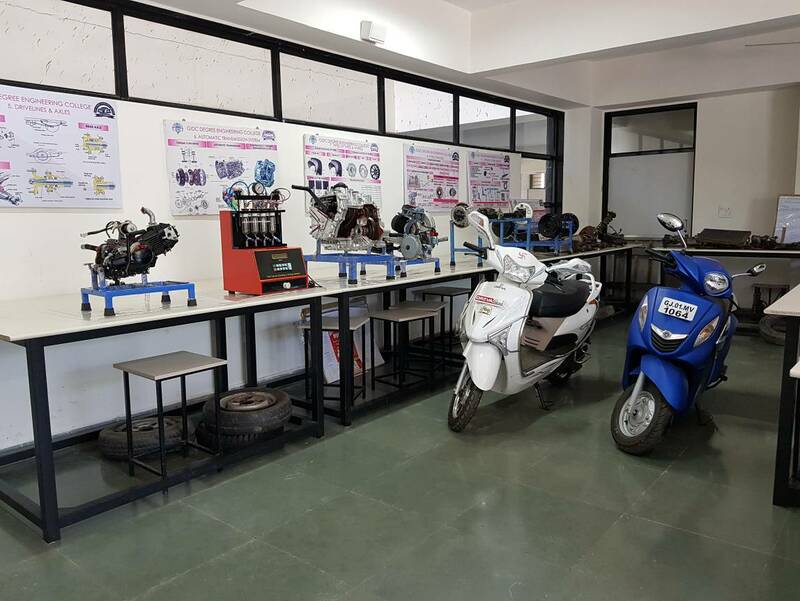 With the same mission, the automobile systems laboratory is well equipped with each and every mechanical components of automobile (2 and four wheelers). The aim of the department of Automobile Engineering is not only focused on educating students to analyze and design the machines but to teach how to repair/diagnose/replace various components and systems of an automobile. 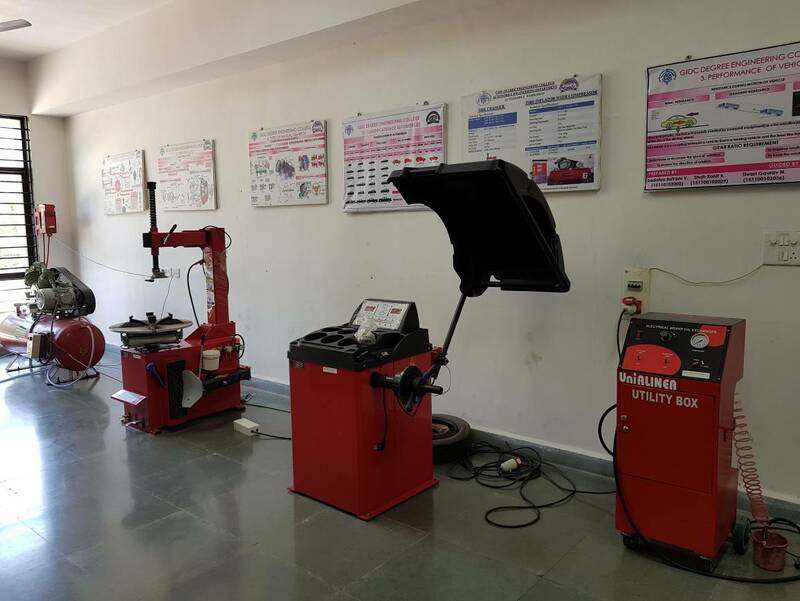 The laboratory consists of industry oriented repairing/diagnosing set ups such as injector cleaning machine, wheel balancing machine, wheel alignment assembly, required pit and tools for servicing a car and a car to perform various processes. 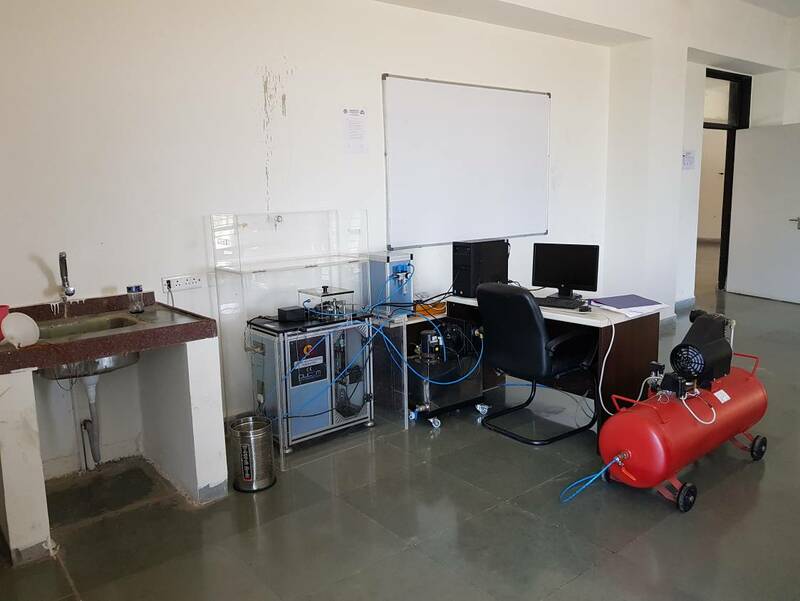 This lab facilitates for various tests such as viscosity measurement of different fluids, fire point & flash point, fuels caloric value etc by following instruments. Bomb Calorimeter, Red wood Viscometer, Refrigerator, Gas Burner, Pensky martin apparatus, 4 stroke single cylinder Multi-fuel VCR engine with computer, Autocollimator, Linear Reciprocating Tribometer. The need of the hour o f the automobile engineering is to understand the electronics associated and better the electrical systems included in an automobile. The modern version of an automobile encompasses the various sensors, actuators, Electronic control unit, scanning vehicle with OBD-II tool, motors & alternators test rig and various electrical as well as computer based electronic systems. 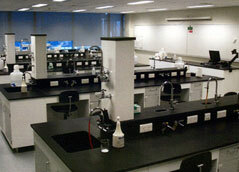 The laboratory consists of various models and cut sections to cater the curiosity of the student. 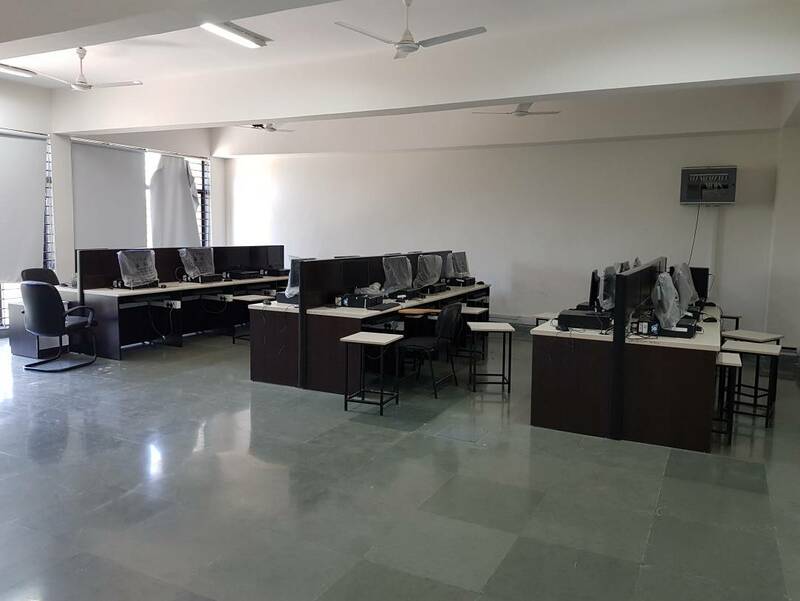 Computer Aided Design Lab provides various licensed software for designing and analysis purpose such as Creo, Solidworks, Auto-Cad, Ansys, CFD etc.